“Stop Fcking the Planet”: Those were the words on Debbie Harry’s black cape as she walked onto the Bowl stage to raucous cheers and applause. She also wore a black-and-yellow headband in support of the bees. It seemed a silly sort of rebelliousness, but just seconds later Blondie launched into the band’s hit song “One Way or Another,” turning smatterings of laughter back into fervent cheers. This continued for the rest of the night as Harry charmed the audience with her remarks between songs as well as with the music itself. 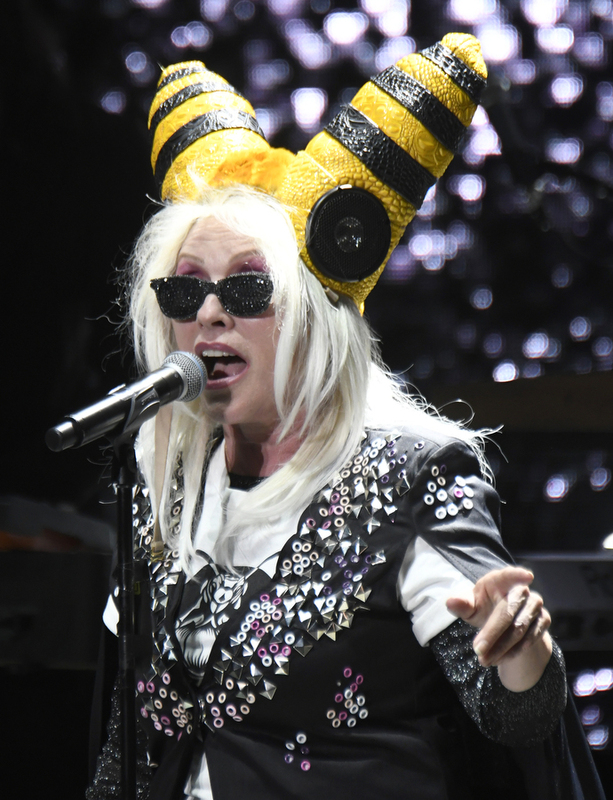 The band played numbers from all of their deep discography, mixing tunes like “Fun” and “My Monster” from their most recent album with classic singles such as “Hanging on the Telephone.” They closed with “Heart of Glass,” the song that started it all.